Held at the Smart Araneta Coliseum on September 14, 2014, the UAAP Cheerdance Competition is a much-awaited event of the campus sports competition annually. 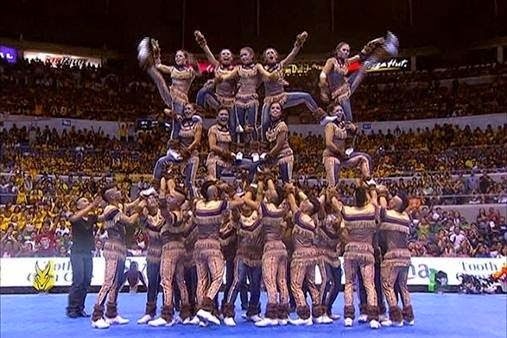 NU Pep Squad was declared back-to-back champion in the Cheerdance Competition. 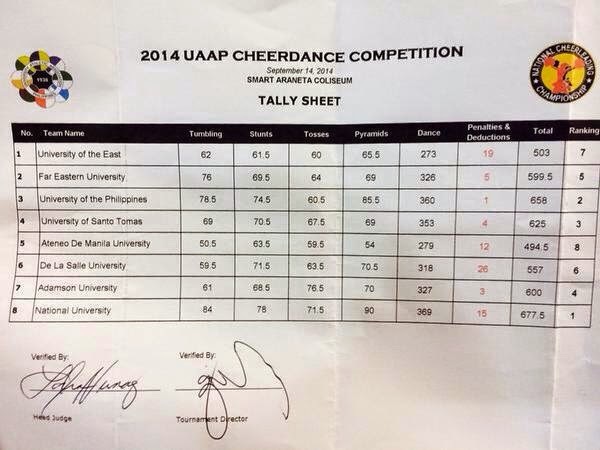 UP Pep Squad won first runner-up and UST Salinggawi Dance Troupe clinched the second runner-up spot. For the record, there were 22,093 people were there at the venue based on gate attendance. University of Sto. Tomas (UST).